Eric Doyle, a League City native and 1991 Clear Creek High graduate has been named commander of the Blue Angels, the U.S. Navy’s famous flying team, for the 2018 season. After high school, he graduated from Texas A&M University with a Bachelor of Science degree in 1996 and then earned his commission through the Officer Candidate School in Pensacola, Fla. Doyle has more than 3,000 flight hours, some 600 carrier-arrested landings and numerous decorations. Doyle will serve as commanding officer and flight leader for the 2018 and 2019 Blue Angels air show seasons. He will report for initial training in Pensacola in September and officially take command of the squadron at the end of the air show season in November. 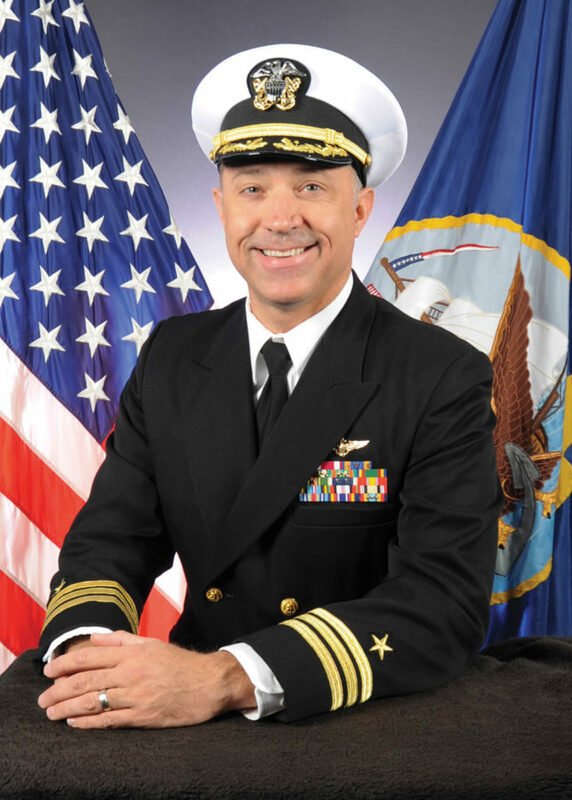 The change of command ceremony is slated for Nov. 12, at the National Naval Aviation Museum. As the Blue Angels’ commanding officer, Doyle, also a graduate of the Navy’s Top Gun School, will lead a squadron of 130 personnel and serve as the demonstration flight leader, flying the No. 1 jet. The Blue Angels perform for 11 million people annually across the United States, and are scheduled to perform 61 shows in 33 locations for the 2018 season.